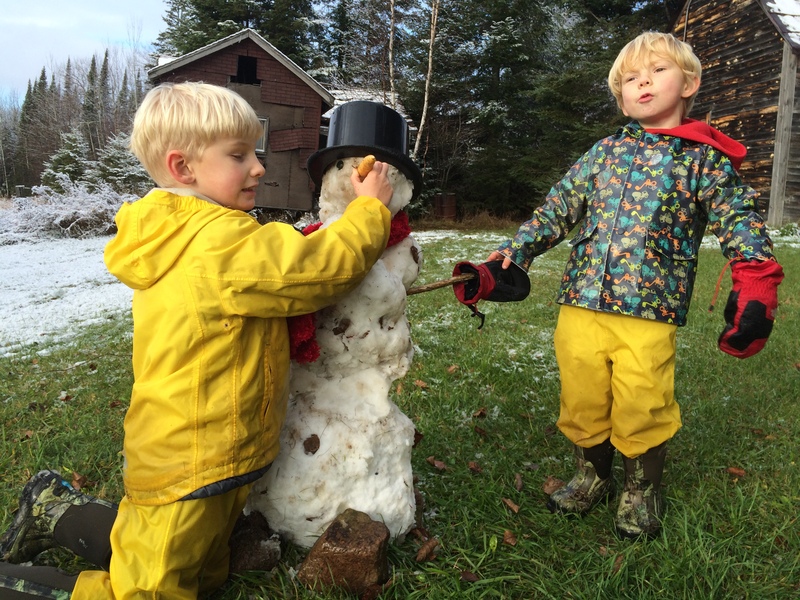 The snow in this picture is melting so fast my sons had to hold the snowman together so I could get them a picture. That’s how I feel we’re “tackling” climate change: holding it together, looking for the upside. You need hope to inspire action, but if you fail to plan that action – you’re planning to fail. Climate Change means seasons don’t act like they’re supposed to. So more snow-man snow days than our cold winter months used to give us means less food in the garden, better odds of a house insurance claim, more bugs invading and killing that wouldn’t survive an “old” winter. I’d feel better about our ability to thrive despite climate change if we were actively changing to accommodate our changing world rather than just trying to hold the old together.